Brianne is a friend I met in college. We both majored in mass communication and minored in marketing. I've known her to be a driven individual who always strives for the best, and she's continuing to do that now. 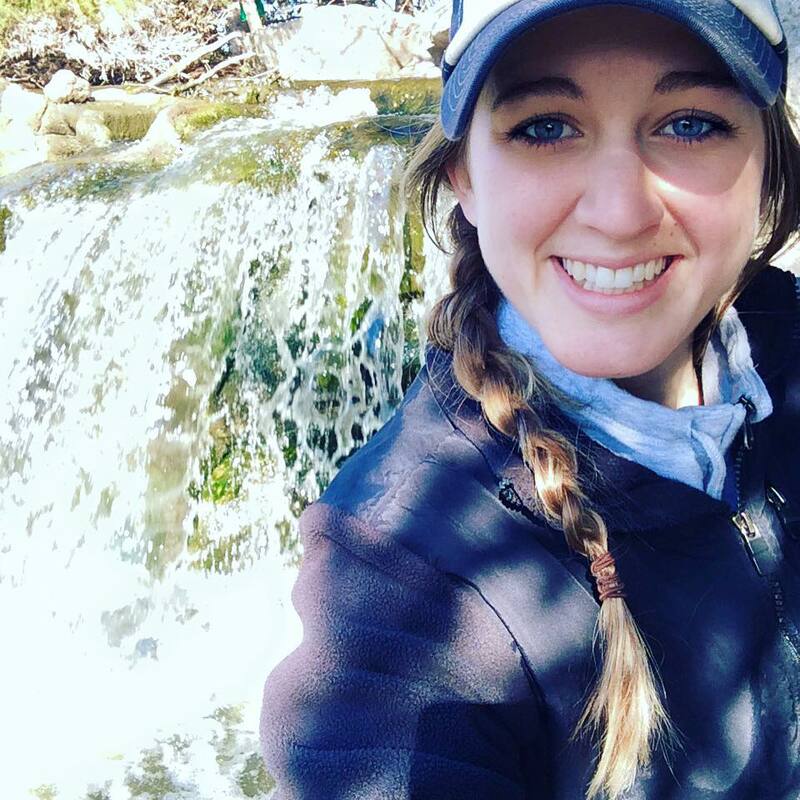 At 24, she is currently working as a graduate assistant at Lewis University, her alma mater, while enrolled in classes to earn a master's degree. She also works at Goodwill, and, most recently, became a Zumba and dance instructor at a local park district. Even with a lot on her plate, she never stops pursuing her passion. Her story proves that no matter how busy our schedules are, there's always time for us to follow our dreams. Has fitness always been an interest of yours? How did it become a regular part of your routine? I am definitely not a fitness guru by any means, but dancing has always been a part of my routine. 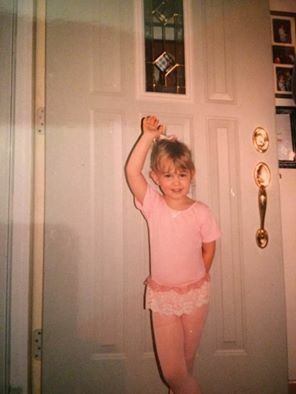 I have been a dancer since I was five, taking ballet, poms, hip hop, cheer, etc. I was a part of the dance team in high school and throughout all four years of college. During college, I also volunteered as an assistant instructor for the Aerobics Club at a local elementary school, teaching second through fifth grade students. I used to be a pretty shy person, and dancing is a way to express emotions without speaking. A lot has happened in my life that I am not able to control, but dance has always been the one thing I can control. So, I find myself the most comfortable when I am dancing. When did you first become interested in Zumba classes? How did you get involved? After graduation, I was not able to be a part of a dance team anymore and never belonged to a dance studio, so I had no way to continue my passion. Dance had been a part of my life for so long that I did not know what to do with my extra time. 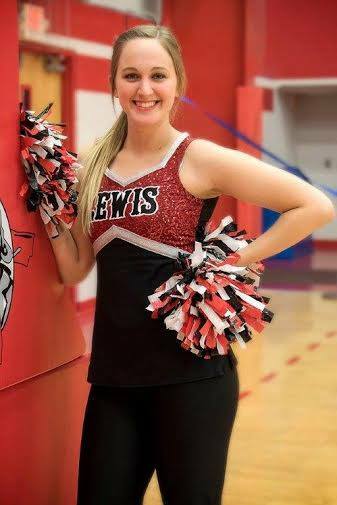 I became interested in the idea of Zumba to dance AND stay in shape, so I started attending classes at Lewis after work for fun. What made you consider becoming a Zumba instructor? How long were you thinking about it before pursuing it? After attending for a month or so, a previous supervisor of mine from Lewis encouraged me to talk with the current Zumba instructor about pursuing an instructor license, and I was very interested. Who wouldn't want to get paid to do something they love?! I looked online, talked to a few friends who are instructors now and chatted online with a few. After I got my license in May 2016, [the instructor] allowed me to teach a few routines to her class to gain some experience in front of a big group of people. She has been a huge help and inspiration throughout this whole process, always offering advice and assistance. What's the process for something like that? What do you have to go through? To get your license, you have to attend a one-day seminar. It was about eight or nine hours in Chicago. It costs a good chunk of money, but it was definitely worth it. We learned the history of Zumba, the basic styles of Latin dance, and how to incorporate them into a class. After that, you work on finding songs and creating routines. Is the one-day seminar the only thing you had to go through to be issued the license? Yes, this seminar allows you to receive a license good for one year. After that, you have to join the ZIN (Zumba Instructor Network) to keep it active. Some positions require you to also be certified in CPR, Group Fitness, etc. Other than that, the process is quite simple. Zumba embraces diversity in age, ethnicity, gender, skill and style. It is all about having fun and expressing yourself, so they want a lot of people to teach it and spread the smiles! How did/does the process compare to what you expected? It was a lot more intensive than I imagined. You watch the instructor’s every move while following her through a class and think nothing of it. Getting up there to teach a routine is so much different. The one thing I struggled with was trying not to overthink it. I have been a dancer for a long time and am a bit of a perfectionist on and off the dance floor. Zumba is about having fun and expressing yourself! Like my instructor at Lewis always said, “There are no mistakes in Zumba, only accidental solos.” I LOVE that and really try to incorporate that mentality into my classes to create a fun, comfortable environment. When planning and creating routines for your classes, what's your main focus or mindset? Having fun, of course! As an instructor, you never want someone in your class to leave feeling down because they couldn't get one of the moves down. While teaching at Lewis, it was a pretty young crowd, but at the park district, it is definitely a much older crowd. Focusing on creating routines that will allow my class to have fun and walk out the door feeling confident is the key. You teach two fitness classes, work at Goodwill and as a GA at Lewis, and are taking classes to earn your master's. How do you balance it all? Balancing it all is very hard, especially as I am in the home stretch at school and in my most difficult courses now. I have never been someone who likes to sit at home; I need to be busy. Being a Zumba/dance instructor seems like more of a hobby than a job though. Dancing has always helped me express myself, and I want to help others find their "voice," so to say, and encourage them to have fun while using it! It is my way of giving back. I definitely want to keep dance as a part of my routine. I want to work with special events in my future career. Originally an education major at Lewis, I am also very passionate about working with kids. Dance can be used for a lot of reasons – expression, pleasure, competition, entertainment, etc. I would love to incorporate dance and other skills I have obtained throughout my schooling into a career, in which I can coordinate events and programs so other people can have just as much fun with dancing as I have. What advice do you have for someone who has a dream or goal a little out of the ordinary? No dream or goal is too far out of this world to reach. The most important piece of advice I have to offer is to surround yourself with people who believe in you and will help you reach that dream. I had people at work who attended Zumba with me at Lewis and ultimately encouraged me to talk to the instructor there about pursuing this dream. My friend who decided to pursue a license with me was a huge motivator. I also had my boyfriend’s support throughout the entire practice. My family at home put up with me dancing around the entire house and practicing my routines day and night. And some of my best friends came out to my classes to show their love and support. I feel blessed to have such a large and loving support system. Following any dream or reaching any goal cannot be done alone. If your dream or goal is a little out of the ordinary, it can be a scary journey with a lot of unknowns. Having your friends and family to help you find your way is crucial in arriving at your final destination.